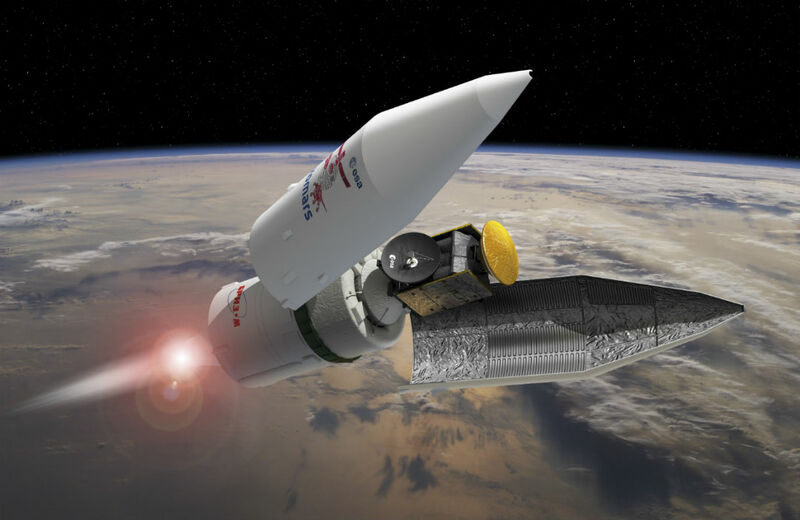 The two robotic spacecraft are set to launch to space on a Russian Proton rocket and the journey to it’s final destination at Mars is planned to take seven months. Trace Gas Orbiter will on it’s arrival put itself into orbit around the planet and measure the types of gases in the atmosphere. It is specifically set to look for traces of methane, a potential indicator of previous biological life on the planetary surface. The Schiaparelli lander module is set to descend to the Martian surface and land intact. The first purpose of the lander is to show that the ESA and Roscosmos have the right technologies to gently touch down an object on Mars. You could say it’s part of a trial run in preparation for the next phase that will launch in 2018, where a rover will land on the red planet. The rover is designed to explore the planet and dig up dirt samples to look for signs of biology. If Schiapearelli can land intact, it is most likely the rover that follows will be able too as well. Schiaparelli also will test other key technologies in preparation for ESA’s contribution to subsequent missions to Mars. The surface of Mars today is dry, and bathed in harsh radiation. It is therefore unlikely that life could still exist there. The best possible opportunity for the emergence of life on Mars was in the first billion years after the planet formed, as it was then much warmer and wetter than today. What the scientist is hoping for is that there still might be evidence of past life preserved underground. The key goal of the ExoMars mission is therefore to sampling the subsurface down to 2m to search for such biomarkers. In waiting for the Mars rovers arrival, the Trace Gas Orbiter launched today will follow a different approach by seeking out signs of life from Mars orbit. One of its key goals is to follow up on hints from previous missions that methane has been detected in the atmosphere, and in particular whether it is produced by geological or biological activity. The ExoMars Trace Gas Orbiter has a much higher sensitivity than any previous missions to Mars to analyse the planet’s gases such as methane It will also image and characterize features on the martian surface that may be related to sources such as volcanoes. Livestreaming of the launch will begin on 14 March at 08:30 GMT (09:30 CET). More information about this can be found at ESA’s ExoMars mission website.